This work is part of a series of ceramic works that explore organic gestures such as a cough, a sneeze, a spitting action, or a bend. Purple hair specifically explores the bend and the deconstruction of a cube. Fragile dyed grass is used as the gesture that both constructs and separates the reading of the form as a cube. 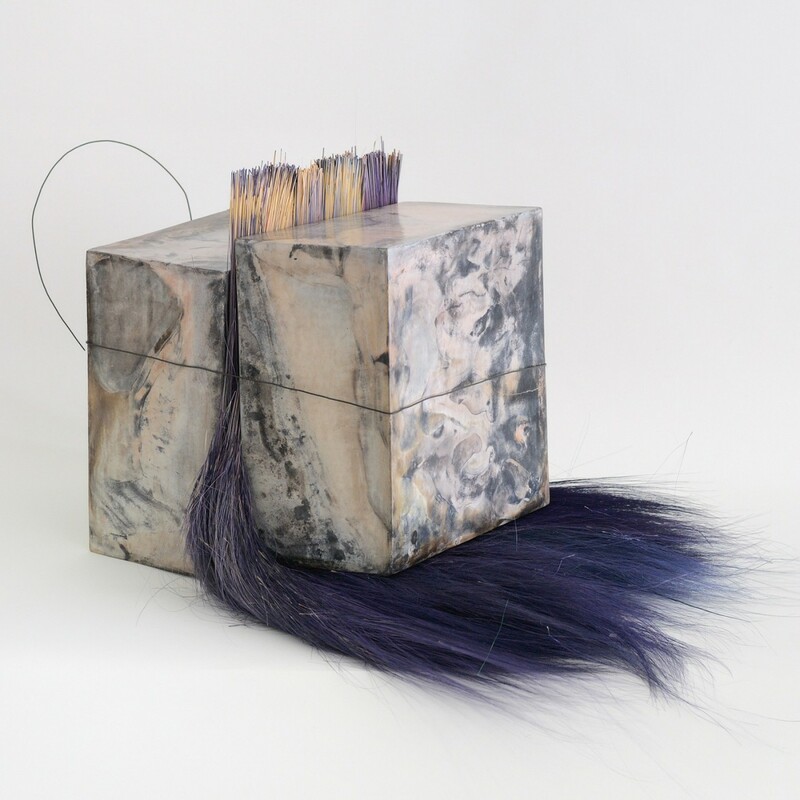 The weight and gravity of the ceramic structure are revealed in the bending of the purple hair-like nature. These works are formal explorations of the organic element upon the structure. They also explore color and surface elements. All works in this series are pit-fired ceramics.